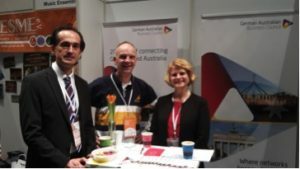 On Sunday 11 March, The German Australian Business Council participated in the Expat in the City Fair in Munich for the first time. 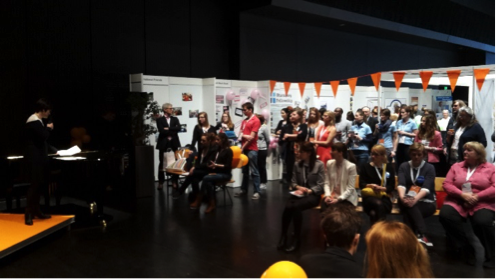 The Expat in the City Fair was a one-day event full of information and inspiration for all internationals living in Munich. Questions about topics such as finances, insurances, education, daycare, expat life, job search and fun things to do in the Munich area were all answered at the fair – all in one day and all under one roof at the BMW Welt. More than 2700 visitors came looking for and found all the great information and inspiration provided for them. We had a lot of interesting conversations and found many new contacts and business opportunities. German Australian Business Council Board members Eberhard Goihl and Rob Harrison ran the booth together with Susanne Schierok and Dali Vukadin.